I begin this little tribute not with the great Gandolfini himself, but with his Sopranos co-star Joe Pantoliano. He appeared in 20-odd episodes of HBO's genre-redefining series between 2001 and 2002, as sadistic and smart-mouthed underling Ralph Cifaretto. This character was introduced at the start of season three [spoilers ahead] and quickly evolved into its most despicable villain, epitomised by a violent act never outdone in this violent series: not to put too fine a point on it, he murders his pregnant teenage girlfriend by cracking her skull on a metal traffic barrier. The unrepentant cruelty of this act made Ralph the kind of character viewers wanted to see end up on the gory end of a shotgun blast. But this superbly nuanced series — arguably the best television series of the last 20 years — rarely offered such easy pay-offs. Violence is a messy business, even when it is your 'business'. This is particularly true of its central character; father, husband and mafia boss Tony Soprano (Gandolfini), to whom the conflicting demands of being both a family man and a 'family' man present numerous moral, practical and emotional conflicts that play out over the course of the series' six seasons. The Sopranos is first and foremost a product of brilliant writing. 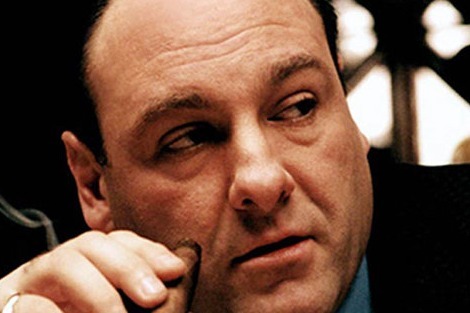 But Gandolfini, a character actor with the presence of a leading man, should get much of the credit for cementing it as a keystone of dramatic storytelling. He takes viewers from the softest to the hardest potentialities of human nature, and everything in between. His vulnerability is attractive because of its contrast to his brutishness. His charm and wit surprise and appeal because at times he is an oaf. His rage is terrifying because it comes from a place that is entirely human. Back to Ralph. On the question of payback, the call falls to Tony. And he decides to let Ralph live, for whatever diplomatic reasons seem important at the time. In fact Ralph sticks around for another year and more, during which time the writers with godlike deftness manage to coax a decent amount of sympathy for the character. When [more spoilers] the time does come for Ralph's card to be (ahem) punched, it is Tony's hairy fist that does the punching. His reasons are ostensibly self-interested and mundane: he is furious that (he believes) Ralph started the fire that killed their beloved racehorse, in order to claim the insurance money. Yet when he roars 'How could you do that to that beautiful innocent creature?' you know it's not the horse he's talking about. Sure, on paper, it could be. But such is the quiet depth beneath Gandolfini's loud performance that for the past year, any time he has looked at Ralph, we know it is that murdered girl he is thinking of. That was The Sopranos at its best, and The Sopranos was Gandolfini at his best. Few actors could hope to leave a more remarkable legacy. Unlike my husband and son, who are devoted fans of The Sopranos, I watched only a few episodes. Undoubtedly, I missed a lot of the nuances of the series but could see that Gandolfini was a fine actor, worthy of accolades, and his early death is a tragedy.